The report identifies natural resources and recreational and industrial activities in England's marine area. What is the distribution of in marine activities around England’s coast? How to the different 11 marine plan areas differ? What are likely future developments across different marine sectors around England? 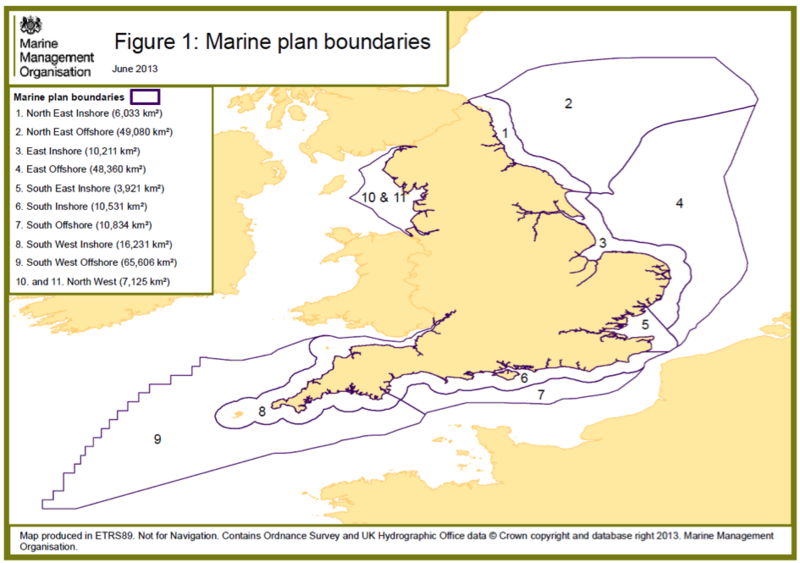 With 10 marine plans expected to be completed by 2021, the Strategic Scoping Report (SSR) will inform those developing marine plans to help ensure a strategic approach is taken in planning activities across England’s marine area and also ensuring that the needs of areas yet to be planned are identified early on. This report gives a national picture of how activities, resources and ecosystems vary across each of England’s 11 marine plan areas, so we can understand the specific characteristics of each. Most activities and resources are not evenly distributed and some are constrained by their particular physical requirements such as depth, water temperature, and substrate type. Knowing the distribution and scale of a resource within the marine plan areas and the requirements for that resource now and in the future is critical to understanding the relative importance of that resource or activity for the marine plan. The first SSR was published in June 2011 before planning started in the East Inshore and East Offshore marine plan areas. This report is a refreshed version carried out before the South Inshore and South Offshore marine plans are developed. This refresh takes account of additional information gathered by the Marine Management Organisation (MMO) over the last two years, including a large pool of information on both current activities and future potential, gathered for plan development in the East. This version contains updated and new maps, including new information on water and air quality. This exercise focusses on the activities of the marine areas around England. Some descriptions and trends would be informative for other countries bordering the north sea, to identify correlation within their own jurisdictions.